Are you a novice at birding by ear and want to learn some more species? Do you already know some bird songs but want to improve your skills and take your birding to the next level? Your solution is here! 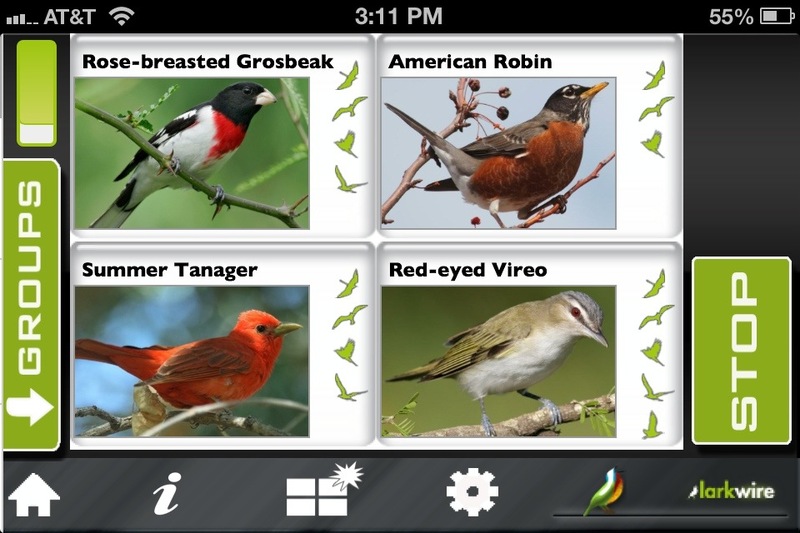 Larkwire just released their excellent bird song learning software for iOS devices. I have previously used the web version of Larkwire that also works on both iPhone and Android devices, as well as computers. 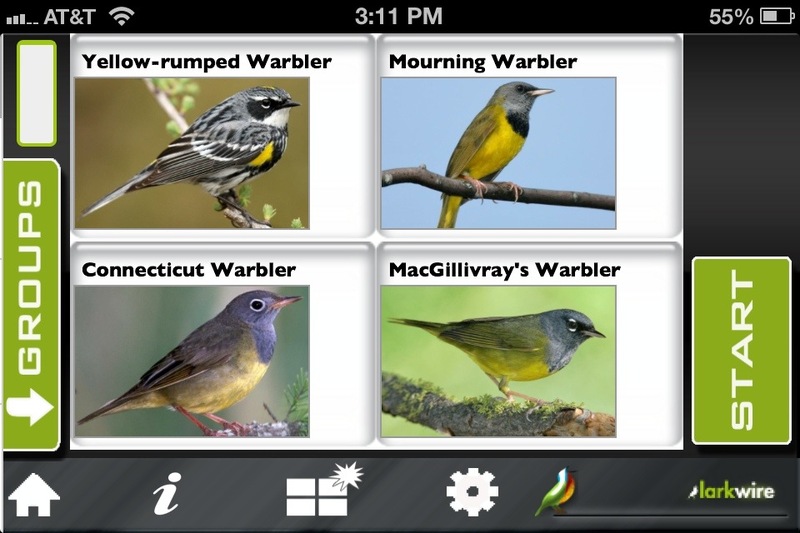 The premise of the app is simple; test users on a small set of similar bird songs until they are proficient at the songs. 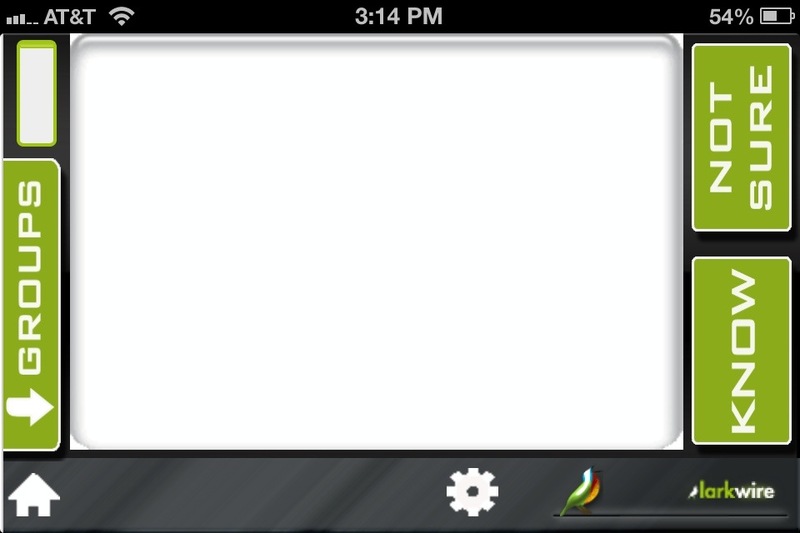 The app has two learning options, Gallery and Field. 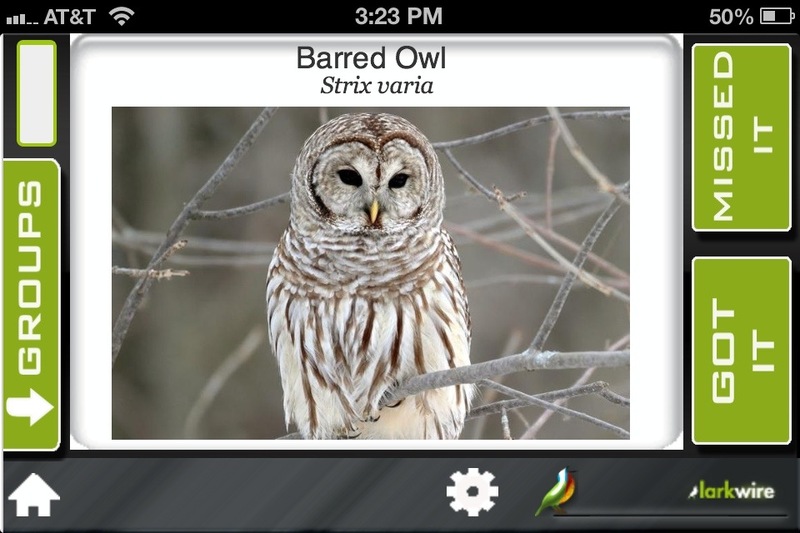 The gallery option displays 4 species at one time. The app randomly plays a call of one of the birds and then you tap the species that was playing. When you correctly select the singing species, you build up green silhouettes of birds along the side. An incorrect guess will reset some of the accumulated silhouettes. This means the better you do, the faster you can progress though the sets. But don’t assume that you can quickly learn a couple specific recordings! 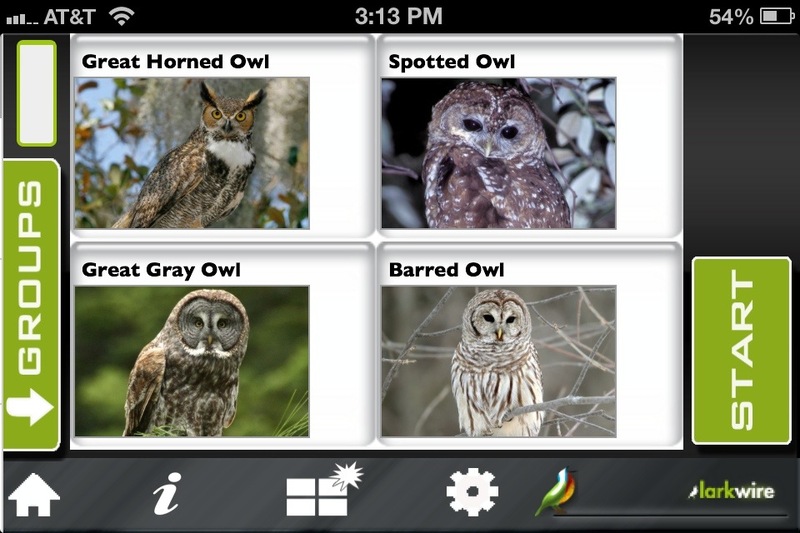 Larkwire features multiple recordings per species which helps you learn variation for each species as well. Tapping the icon in the bottom middle will give you a new set of four species if you feel like you have mastered the quiz before it automatically progresses. You can click the i button to get helpful tips on what to listen for to identify each species which is particularly helpful if you are dealing with several species with similar songs. The Field option plays a bird song while leaving the screen blank. There are two buttons to select, Know and Not Sure. If you know the song, you click that you know it and the bird is revealed so you can see if you were correct. Then you select whether you were right or not. This is a lot less cumbersome than the alternative of typing in your guess, and since birding works on the honor system, it is appropriate. 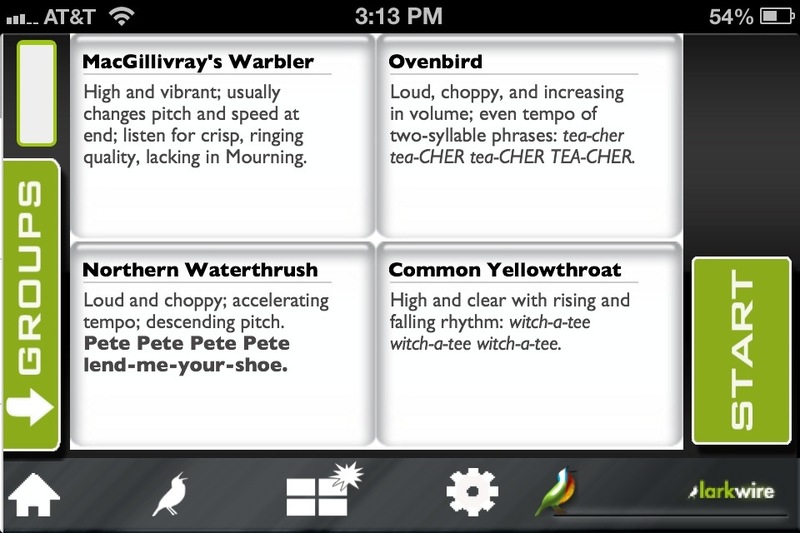 I think that Larkwire system of learning bird songs is a really great way to both review bird songs and learn new ones. The system is very conducive to picking it up and using it for a couple minutes whenever you have some free time. There are options to quiz yourself on specific groups, or even specific species. 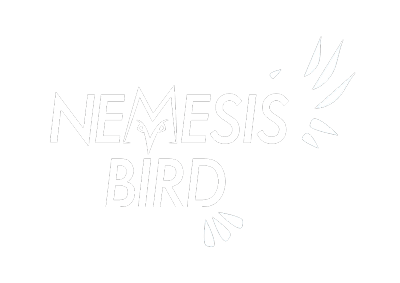 You can also select different difficulty levels, so you can progress to more difficult sets of birds as you learn. Larkwire comes in several versions, depending on your needs and location. I would recommend skipping straight to Larkwire Master Birder which features the most birds from eastern and western North America. If you are interested in boosting your bird call ID skills across the country, this will definitely be beneficial. Most of my experience with Larkwire comes from the online version which you can try at their website, Larkwire.com. This is the way to go if you want to use Larkwire across multiple devices such as iPhone, Android and desktop computers. The versions below work great on iPod Touch, iPad and iPhone. Check one of the versions out and let me know what you think.